Most affiliate marketing networks are pretty cautious about connecting their advertisers directly with publishers. The risk of them setting up a direct business relationship – cutting the network out of the deal – is real. This kind of disintermediation is a major risk to the revenue streams of networks and agencies, and it takes a lot of trust and confidence for a network to give their advertisers transparency into the identity of high-performing publishers. Admitad is taking a different approach in the belief that as the industry evolves, collaboration and transparency offers huge benefits to everyone involved in the affiliate marketing funnel. The CPA network founded in Germany in 2009 now has more than 1,600 advertisers and over half a million publishers all over the world, and invited many of them to its seventh annual Admitad Lounge on March 29 at the Golden Palace in Moscow. As a veteran of dozens and dozens of affiliate marketing parties, I can confirm that this one was definitely way up there in terms of glamor. And, all done with one of the goals specifically articulated as bringing advertisers and publishers together. So what’s the scoop? Why would Admitad wish to put publishers and advertisers in the same room? In the age of AdBlock and fraudulent bots, online ads are becoming less effective. This offers a great opportunity for the performance marketing community: performance-based pricing means that the advertisers doesn’t need to worry about display ad fraud at all. The affiliate networks act as intermediaries between those in need of greater exposure for their products or services, and those wishing to promote others’ products or services to earn commissions. In such a context, trust and the building of long-term business relationships offers a way forward. The refreshing thing about Admitad’s approach is the confidence that they are displaying. They’re essentially saying that they aren’t worried about advertisers running off and forming direct relationships with publishers because the value that Admitad provides – trust, compliance, networking, brand protection, etc. – is worth it. The affiliate network doesn’t deprive either side of the relationship-building they could access when collaborating directly without an intermediary. Instead, they are happy to turn the situation on its head and orchestrate increased collaboration themselves. Hosting an event also brings an additional layer of transparency. By showing that there is nothing to hide, the company can demonstrate its willingness to engage in constant dialogue with all its partners and uphold a commitment to openness and accountability at the same time. This is an important time for the performance marketing industry. Having come through the challenges of the early days by developing comprehensive tracking and fraud prevention technologies, affiliate marketing is now well-positioned to be a trusted, enterprise-level marketing solution. Facebook’s current problems, the Cambridge Analytica scandal and YouTube’s ongoing issues around dubious content all provide performance marketers with new opportunities. The winners in this new environment are going to be networks like Admitad. Big enough to invest in all the necessary technologies – fraud prevention, fingerprint and cross-device tracking, etc. – while also being confident enough in their own value proposition to offer transparency, good intentions and professionalism. 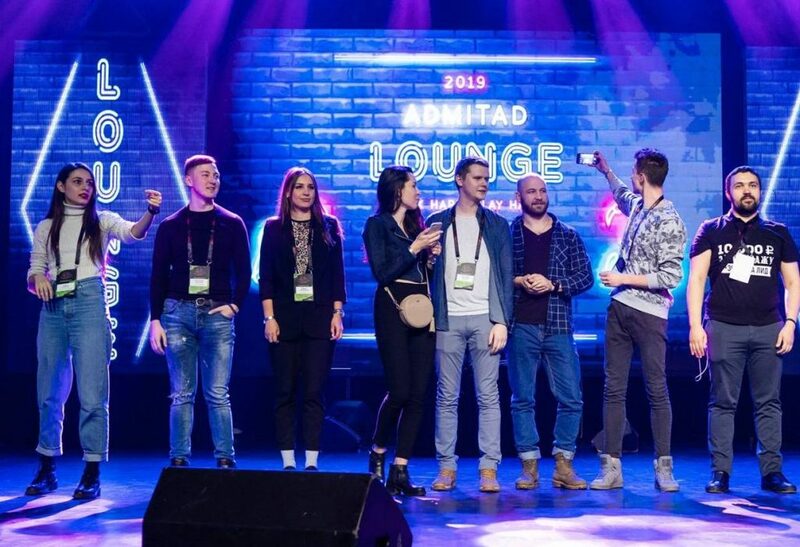 Admitad Lounge and similar events are perhaps early examples of this transformation of the performance marketing industry, changing the way affiliate networks connect with their partners and clients, as well as furthering the cultural shift toward transparency in the industry as a whole.